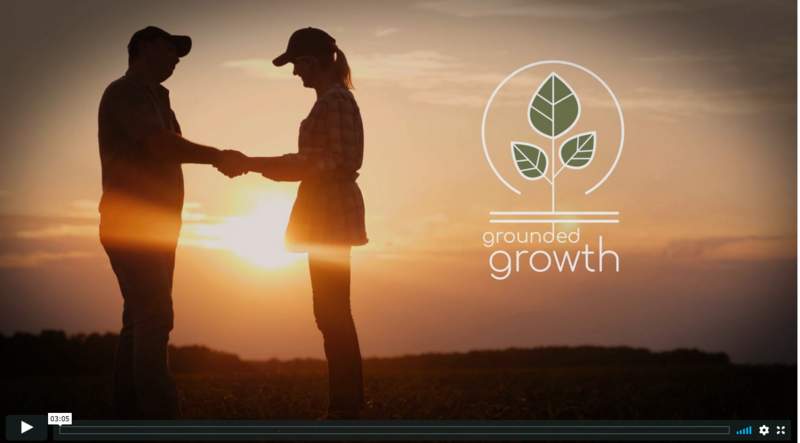 Grounded Growth is a network that enables, supports and grows business-enhancing relationships between food companies and farmers who are expanding regenerative agriculture, together. We facilitate regenerative supply chains by helping businesses shift away from a focus on short-term transactions and toward a long-term partnership approach. We do this through our private online platform and by guiding members through our regenerative partnership process. We connect farmers to financial support that enables them to expand regenerative farming practices on the ground right now. We help our businesses engage more deeply with today’s consumers by quickly, easily and affordably embedding a regenerative agriculture mission and message into their brand. Our partnerships help restore the Earth’s soil and water, mitigate climate change, improve ecosystem biodiversity and improve business profitability — all at the same time. 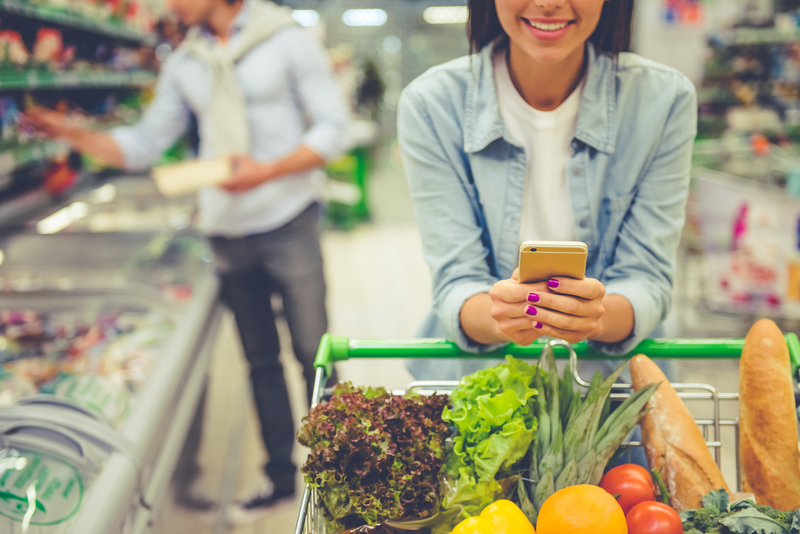 Gaining and keeping consumer loyalty is a true challenge for businesses of all kinds in today’s multi-channel marketplace. Businesses that serve a mission as well as having a great story and products or services have a better chance of being successful in the long-term. 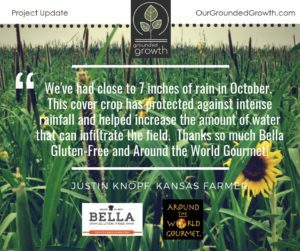 Grounded Growth enables businesses that partner with us to quickly, easily and affordably build a pro-environmental and pro-farming mission into their brand. 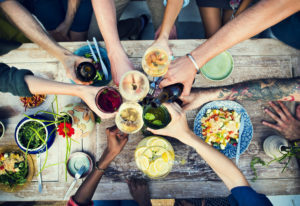 Connecting their brands to regenerative agriculture enables our partners — and their consumers, to support a way of farming that restores rather than depletes the Earth’s resources and mitigates climate change in the process. 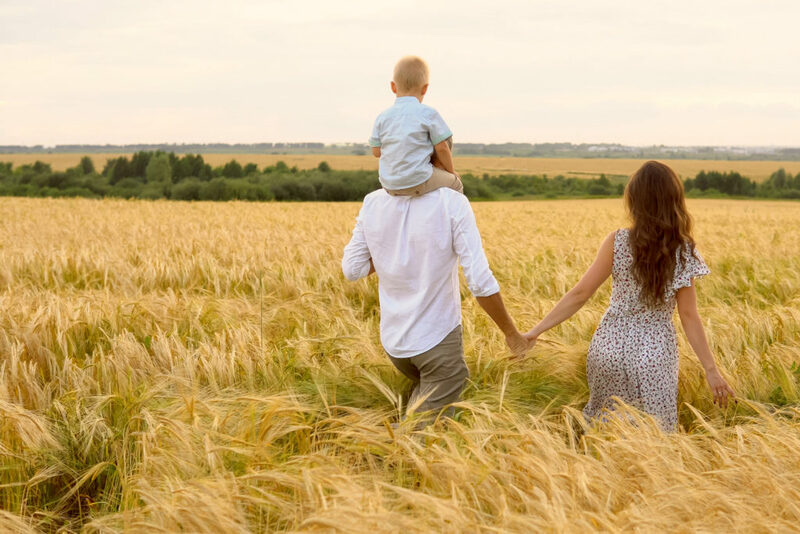 Just like any other business person, a farmer has to balance making investments that would have multiple benefits in the long-term against the short-term need to stay profitable. Failing to do so could mean losing a multi-generational legacy — as well as the business itself. Unlike other businesses, however, farmers have a unique opportunity not only to limit environmental harm, but to actually reverse it. If they work with biology, their stewardship of the land can actually restore many natural resources. This kind of restorative farming is called regenerative agriculture — a farming system that has the ability to create healthier soils, better water quality, more biodiversity and more nutrient-dense food while reducing the amount of synthetic chemicals and fertilizer needed over time. This way of farming also helps to mitigate climate change by storing a major greenhouse gas (carbon dioxide) as carbon underground. For a significant number of farmers, the problem is not a lack of knowledge, but the inability to do the maximum good they could do on their land because of the increased cost that the market currently does not offset. Currently, many farmers are not rewarded by the marketplace for how they farm — only for how much they produce. Farmers that partner with Grounded Growth have access to a market-based source of financial support that enables them to adopt practices that will bring long-term reward and sustainability to one of their most important assets: their land. Our farm partners are also provided the space and the opportunity to build direct business relationships with companies interested in working directly with them. Regenerative agriculture has tremendous promise to help reduce climate change — if it is done in a way that focuses on expanding regenerative agriculture at scale, not just creating a new niche market that can only be met by a tiny subset of farmers. 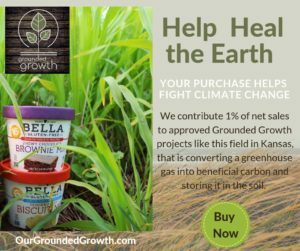 This is why Grounded Growth’s model focuses on expanding regenerative agricultural practices, rather than certifying farmers against a checklist. “The data strongly suggests that we can actually reverse climate change, not simply slow it down. And while different studies may use different formulas to measure impact the overall results should generate hope to anyone looking to prevent climate change from worsening. . .
Studies from a variety of universities and science-based institutions have shown that by restoring the health of industrially degraded soil we can draw down between 1 ton of carbon per hectare per year (Rattan Lal, study Ohio State link) and 9 tons (Richard Teague Texas A&M) depending on a variety of factors. . . 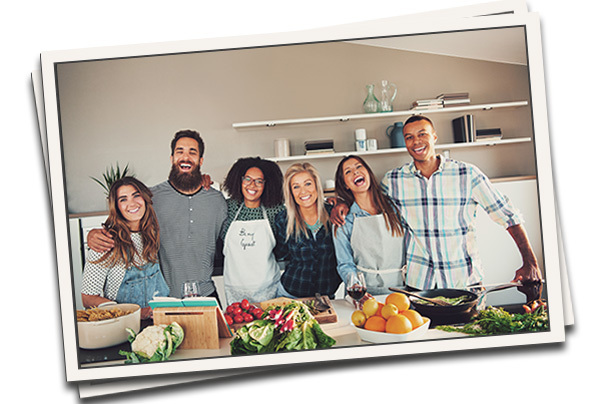 It all starts with joining our online community . 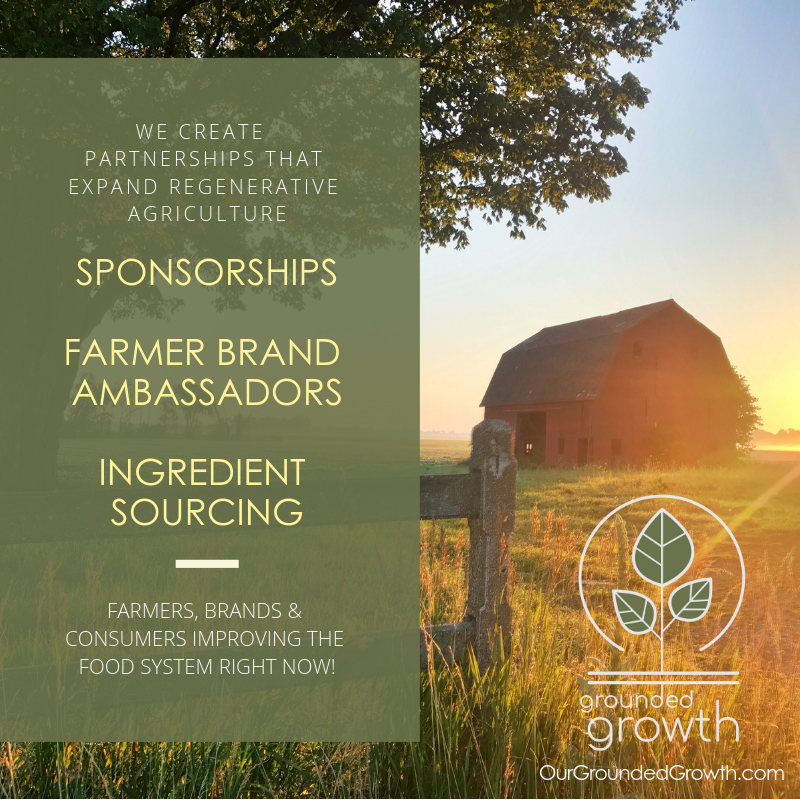 . .
For both farmers and businesses interested in partnering with us, the first step is to join our online community. 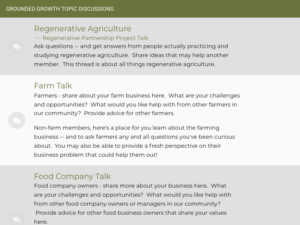 Here you will learn about our how we define regenerative agriculture, dive into the details of our partnership process, and connect with other businesses and farmers interested in building regenerative businesses. 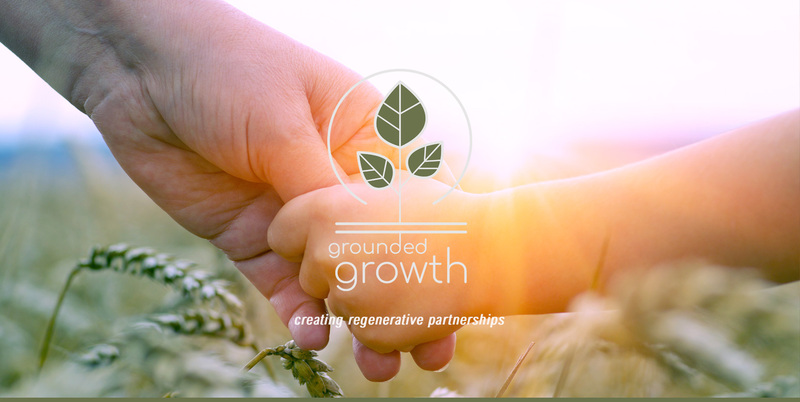 After completing our brief online coursework, members of our online community can apply to enter into a regenerative partnership project that Grounded Growth facilitates. Becoming part of our online community is a pre-requisite for going through our partnership process. This enables Grounded Growth to ensure that future partners are all on the same page, share a similar culture and maintain quality control. 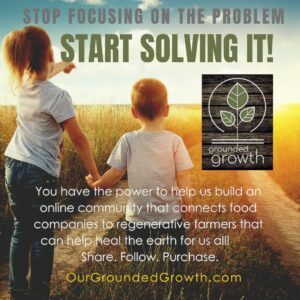 Our online community provides both a platform for businesses to connect directly with farmers and a support system for purpose-driven businesses that are dedicated to continuous improvement. Here you can learn about the hot new trend of regenerative agriculture. 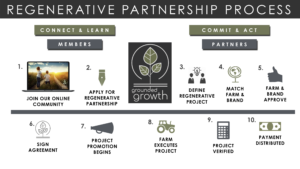 You can also evaluate our regenerative partnership process and see if it is right for you. Finally, you can receive and share business improvement advice from our team, our select resource partners and other small business owners who are on the same journey. 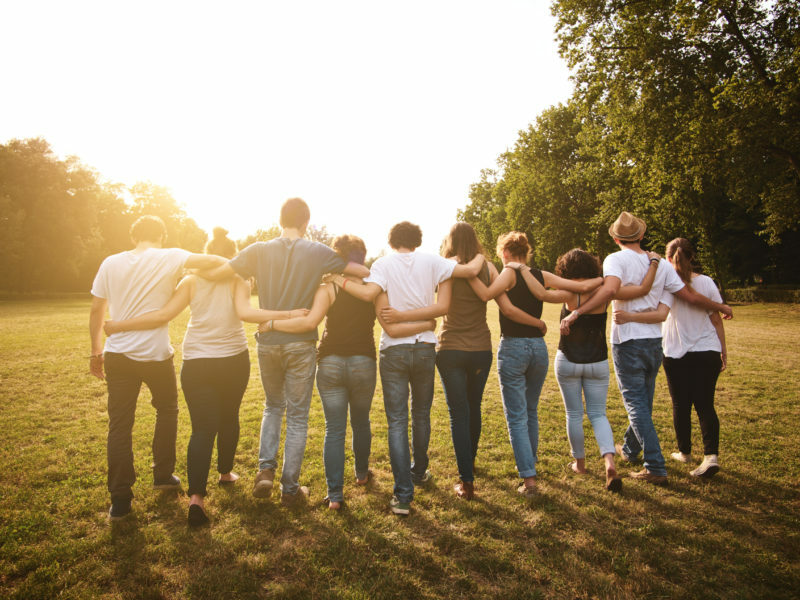 Together, we can be part of something bigger than ourselves that both helps the businesses we love — and the planet at the same time! — What is Regenerative Agriculture? — What are the environmental benefits of regenerative farming? 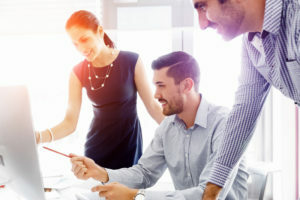 — How can your business connect to this trend right now? 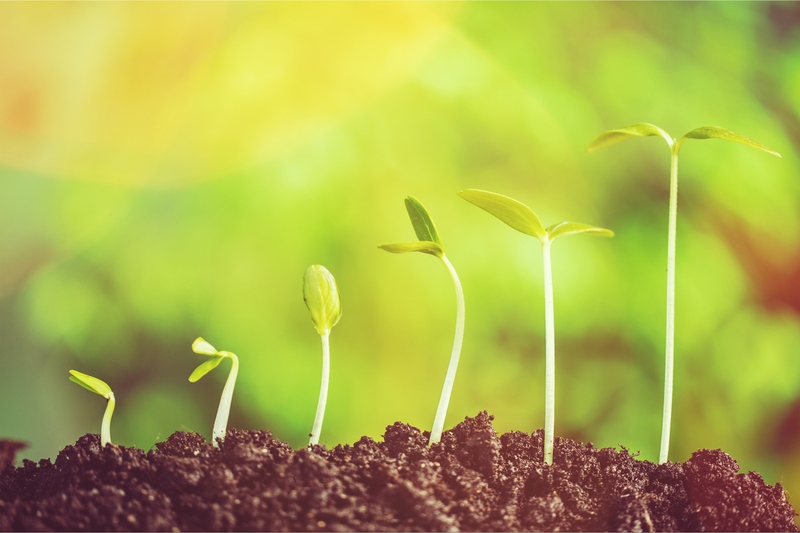 — What is the Grounded Growth partnership process? Build relationships across the supply-chain. Learn and share with other small business owners. Access original and curated content to help your business grow.